Yeah, it's the same old "Let's get to know me" page as everyone else. However, there is some original content here (see my Hearts page for example). Here are links to others named "Alan Hoyle"
There are also pictures from our 2007 wedding and a link to pictures of Chester. Email me if you get bored enough. My job title is Bioinformatics Scientist for LCCC's Bioinformatics group. Here is my curriculum vitae. I played, captained, and managed Boneyard Ultimate (twitter: @BoneyardUlt) for several years. We won the 2014 World Ultimate Club Championships (Masters div), the 2015 USA Ultimate Masters Championships, and, as Team USA, the 2016 World Ultimate Championships. I played with Ring of Fire for several years. 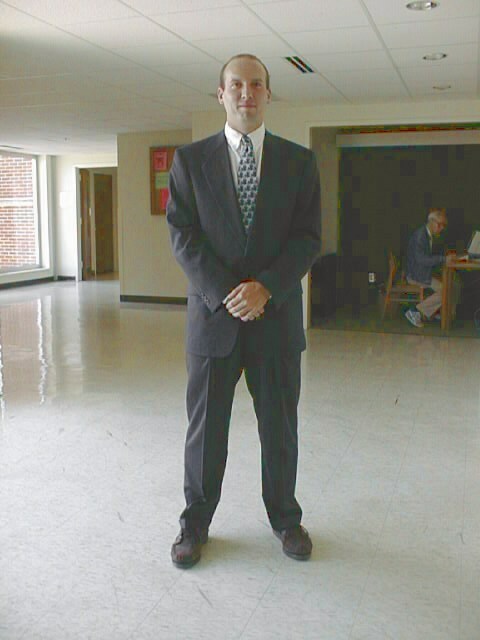 At the 2002 UPA Championships we finished in second place. 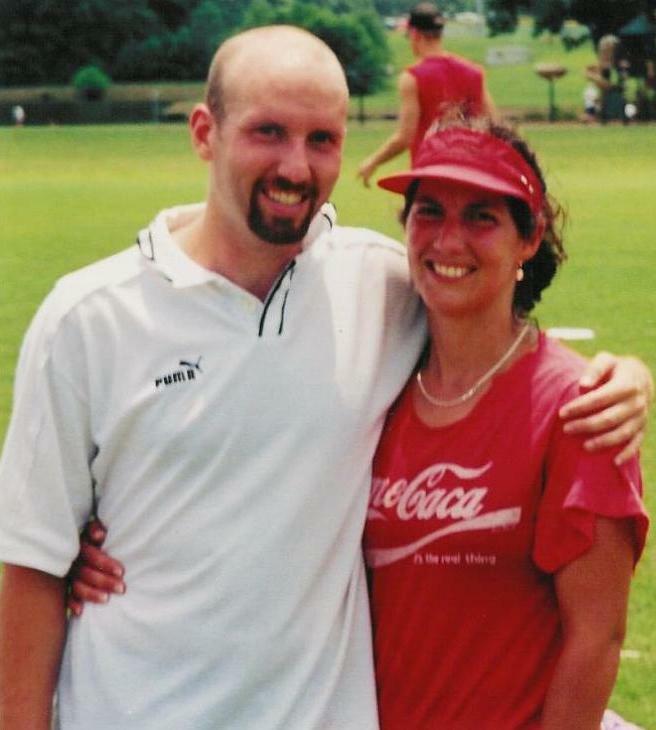 During the 2000 UPA Mixed gender series, I played with Spear. We won the National Championship for that division. I am a founding member of the UNC-Chapel Hill Darkside (twitter: @UNC_Darkside) Ultimate team, was a captain the first year and the team awarded me MVP honors our second year. The team has improved greatly since those early years and I was lucky enough to see them win Nationals for the first time at the 2015 USA Ultimate College Championships in Milwaukee, Wisconsin. I coach the Duke Swerve Women's Ultimate Team (twitter: @DukeSwerve). 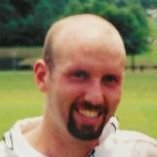 I'm a board member of Triangle Ultimate (né TFDA) And I've played in various leagues since the 1992-1993 season. Here are a few pictures of me playing ultimate and here are some teams that I've played with. This is a great game I learned to play on my PalmPilot. The Cribbage Forum is a pretty good resource. This is a fast-paced and fun game I learned at summer camp during junior high school. I play a slightly different variation than the one listed there or here. By the way, I never lose*. I've played video games for almost as long as I can remember. I started down the path towards a collection of classic arcade games by purchasing a Gauntlet II standup arcade game at a local auction. In January 2000, I traded it for a Star Wars arcade game. I have installed a multi-game kit to allow me to play The Empire Strikes Back on the same hardware. 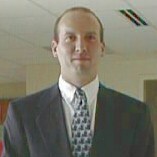 I went to Lafayette High School and was in the class of 1992. I took some pictures of our ten year reunion (originals).